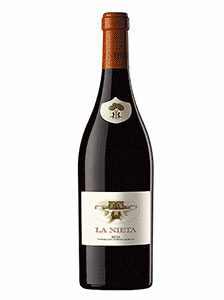 24.00€ Bottle 75 cl Tax incl. Vineyards of more than 40 years and harvested manually in boxes of 15 kg., the grapes are selected in a selection table. Then a small crushing like clusters, so grains of grapes entering whole gravity deposits located in cascade. Thus, it will produce a stemmed semi-carbonica maceration. Its careful preparation consists of an alcoholic fermentation which lasts approximately 15 days for a subsequent maceration for 20 days. Then, the wine is introduced in barrels new American oak for 9 months, where every three months makes one racked manual by the traditional method of gravity and decanting. 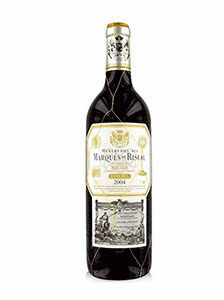 Finally, the wine becomes bottle, where is rounded and polished the nuances of its ageing in wood. Color: Violet edge covered cherry. Medium-high layer. Aroma: Intense, powerful, nose fruit red, jams and spicy notes. Licorice. Light hints of vanilla and coffee. Persistent aftertaste. On the palate: sweet tannins and balanced acidity. Soft toasty, structured, no sharp edges, fruits of the forest well outlined. Optimum serving temperature: 18 ° to 19 ° C.